While nearly one in three U.S. adolescents are affected by bullying, placing them at risk for health problems including attention deficit hyperactivity disorder, anxiety, depression and self-harm, fewer than a quarter of these teens receive help. New research identifies some of the reasons why. 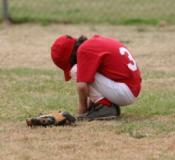 Children who have loud and noisy parents are at a disadvantage playing sports. Focusing on the game with a screeching parent in the background is next to impossible. A mother is always the first to pick out the voice of her child crying, "Mom! Mom!" in a crowded store. It's the same way with kids. It doesn't matter how many fans are yelling, they can pick out their parents' voices through the din.